Beautiful piano melodies, ballads drawing their inspiration from jazz, classical music and cinematic imagery, hummed choruses, a mood at the crossroad of nostalgia and reverie. 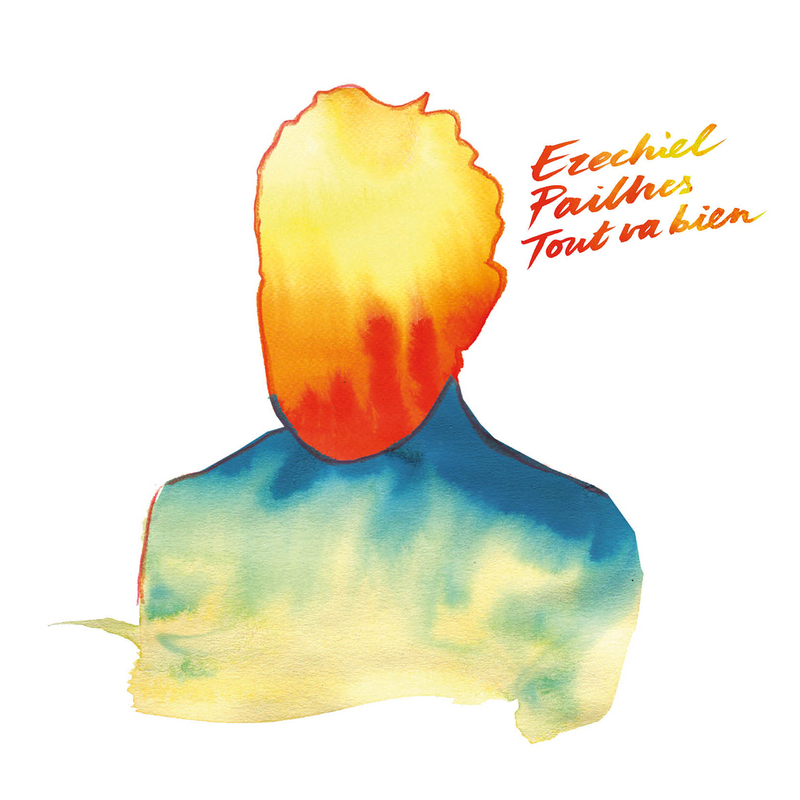 Instruments with uncanny timbre and charm, chiseled percussions, added to a subtle electronic production, this is the recipe for Tout Va Bien, the second solo album by French composer Ezechiel Pailhès. All this is reflected in the opening track, River Day, which begins with “prepared piano” sounds (a technique mastered by Ezechiel, which consists in placing different objects on the strings of the piano, to create singular percussive notes). This deliberately mysterious and poetic introduction, supported by light electronic effects, is soon combined with a light beat, organ chords and vocalisations by the artist, which gradually transform the track into a ritornello, with both nostalgic and lighthearted tones. Even if he defines himself as a “jolly fellow” (which is confirmed by the music and reputation of his electro-pop duo Nôze), when chatting to him, he comes across as quite gentle and stellar, just like this collection of eleven tracks that he composed “in autarky”, entirely alone, in his Montreuil home studio. Following the footpath of Divine, his first solo release from 2013, this album is however more intimate, marking Pailhès’ taste for finely crafted moods and drifts. Songs like Tout Va Bien, but also Éternel Été and Promesse, whose lines have been borrowed from Shakespeare’s sonnets, seem to shift between carelessness, bliss, bitterness and anxiety. Even though he composed on the piano, in this album Ezechiel plays and toys with numerous other instruments, such as the Clavietta (a type of Melodica), a Moog Little Phatty synth, an analog Korg Lambda organ, rare virtual instruments, and a whole array of exotic percussions, gleaned along his tours. He insists, however, on the sculptural dimension of his compositional work. For him, it is about “revealing or masking the sound of the original melody” through various processes, including percussive ones, whether using a prepared piano (which he even calls “transformist”) or several digital cuts and superimpositions enabling him to generate what he calls “sound illusions”, through unusual associations between the timbres of various instruments. Even if parallels can be drawn with the work of other composers, such as Moondog’s piano melodies, Matthew Herbert’s sonorous and rhythmic tinkering and techno ‘fringe’, or even the graceful fantasy of Nino Rota, the music of Ezechiel definitely sounds like no other. His songs conveying delicate emotions, his obvious melodic mastery, draw from classical influences. His instrumental ease acquired from jazz, his conciseness and sounds processing skills derived from electro, this all makes him one of the most singular and endearing personalities in today’s musical scene.